The Tsingys are karstic plateaus in which groundwater has undercut the elevated uplands, and has gouged caverns and fissures into the limestone. Because of local conditions, the erosion is patterned vertically as well as horizontally. In several regions on western Madagascar, centering on this National Park and adjacent Nature Reserve, the superposition of vertical and horizontal erosion patterns has created dramatic "forests" of limestone needles. 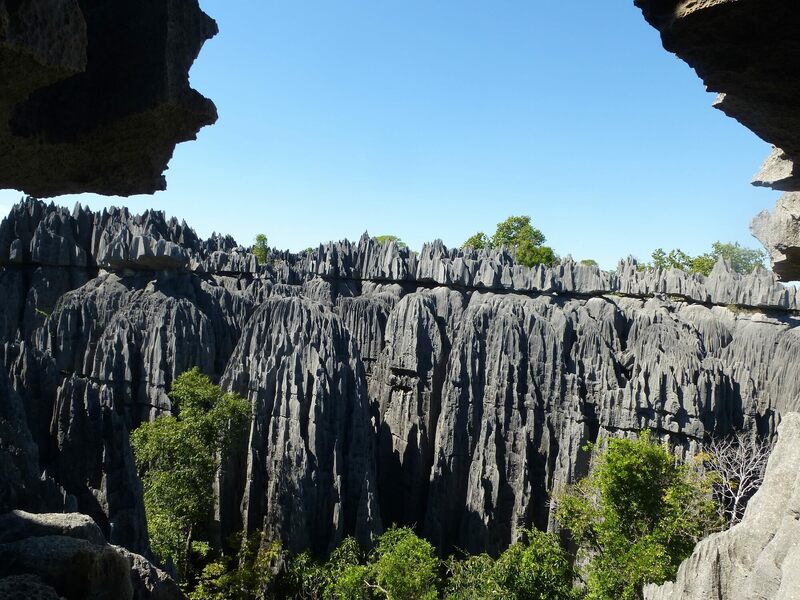 The word tsingy is indigenous to the Malagasy language as a description of the karst badlands of Madagascar. The word can be translated into English as where one cannot walk barefoot.